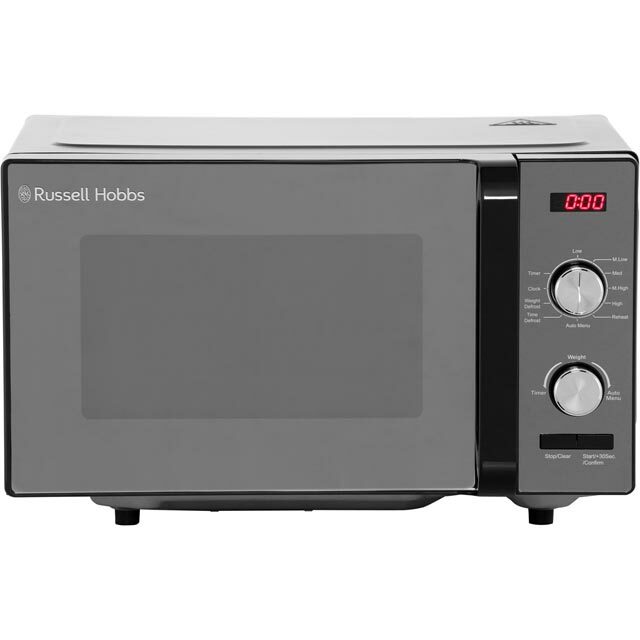 Make cooking effortless with this Russell Hobbs microwave oven. It has a 17 litre capacity, which means it’s great for smaller households. Plus, all your meals will be ready in a flash, thanks to the 800 Watt power output. You won’t need to guess how long your food will take to cook either, as the various automatic programmes have pre-set times and temperatures, for perfect results. It also comes with a defrost option, so you can quickly thaw out any meat you’ve had stored in the freezer. And, with the dial and button controls, you’ll find it super-easy to use too. 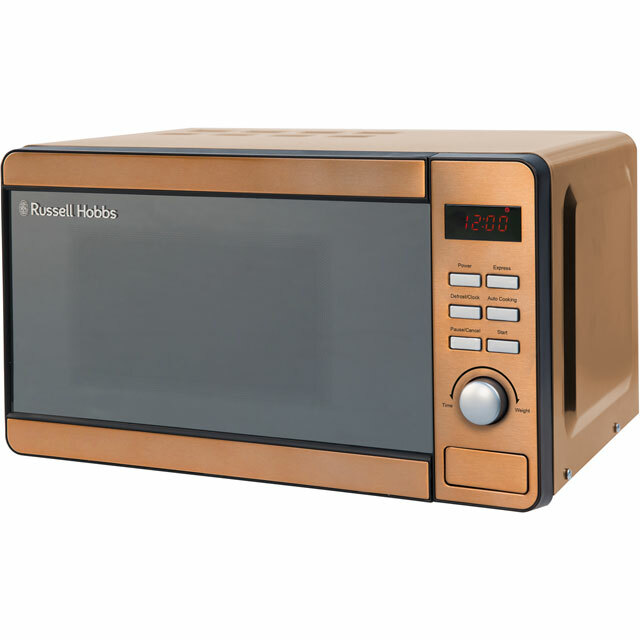 This microwave sits neatly on my work surface and gets a lot of compliments from my friends who all say how stylish it looks - although they say "Copper" I correct them and say its "rose gold". 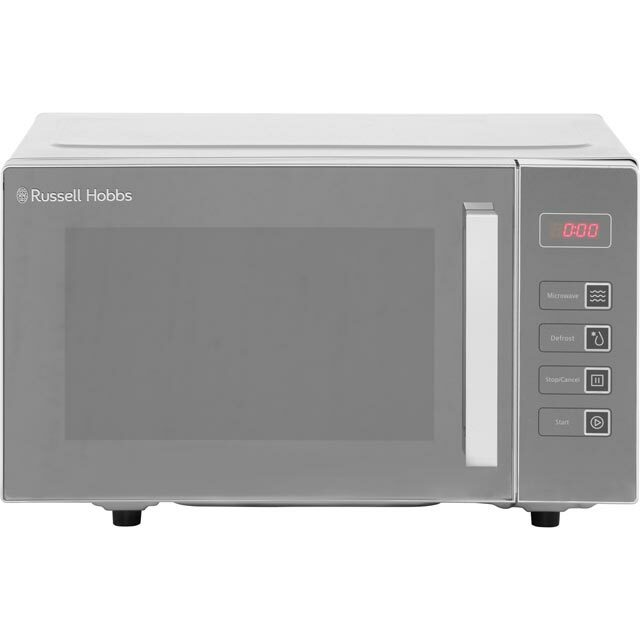 It is very easy to use and although it is compact (17 litre capacity) this really is just perfect for me as I only use microwaves for heating meals for the Children and re-heating the coffee that I always forget to drink. The pre-programmed auto cook menus make it so simple to use and it also has a defrost function on there too. It is very easy to clean. 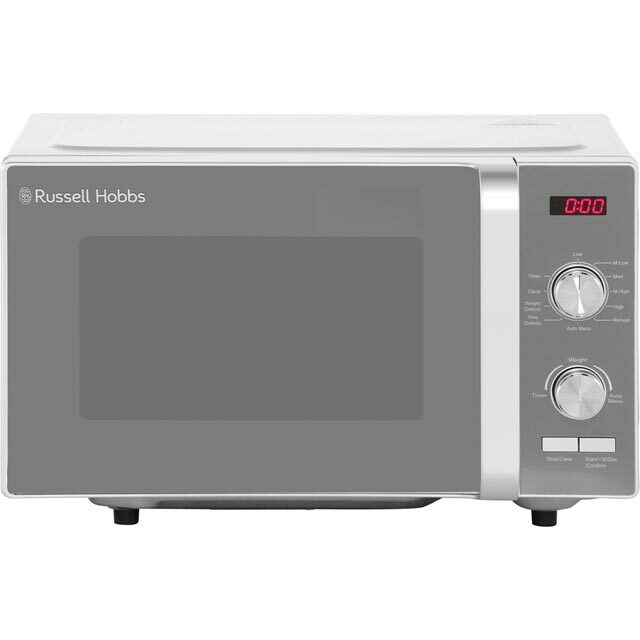 Overall I would recommend this microwave - it is perfect and can handle all of your cooking, reheating and defrosting requirements. 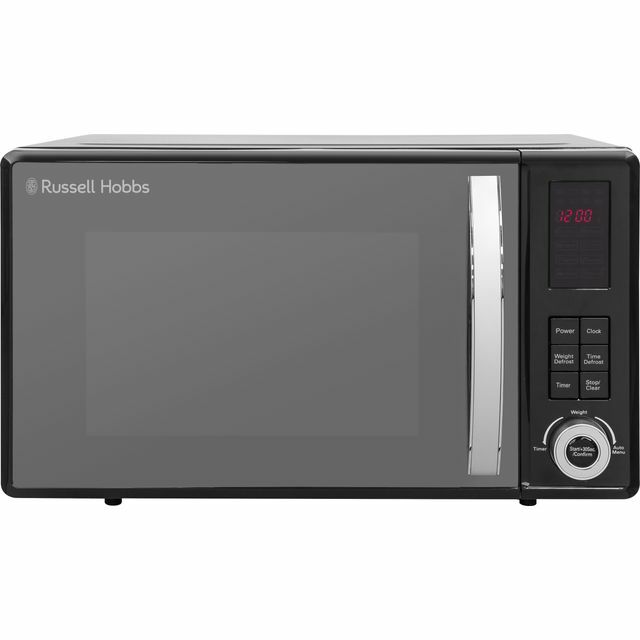 Let's face it, most of us look for a microwave we like the look of before we check how many functions it has, well, I do anyway. This is just stunning looking! Everyone who sees it in the kitchen comments on how good it looks. It's got every function you could need, is quiet, easy to clean and doesn't take up loads of space and works like a charm.